HomeArticlesMarvel’s Iron Man Coming to VR! From No Man’s Sky coming to VR to PlayStation VR selling like hotcakes, there’s nothing but good news everywhere we turn right now. And things are about to get a whole lot better because PSVR has secured what could be some killer IP for VR: Iron Man. That’s right, Marvel’s own Tony Stark will be making his way exclusively to a PSVR headset near you in a game that promises to immerse users in Iron Man’s world on levels previously unimaginable. What gameplay was shown off was scant but looked extremely promising. Using an aerial combat scene as its demo, Iron Man can be seen taking out enemies and receiving input from FRIDAY while doing so. It basically looks like a VR shoot ‘em up with Iron Man immersion elements, but we’re sure it will be way beyond that in its final form. As for the developer, Polygon reports that Camouflaj will be doing the honors in that department. Outside of that, there weren’t any details about pricing or when it would be coming out though everything is pointing at a 2019 release. When it does come out, we’re pretty sure it will be a pretty big deal. Plus, there’s a lot of reason to have confidence in this project. After all, Sony’s Spider-Man game released for PS4 last year is widely regarded as one of the best games of 2018. Not only that, but Spider-Man was totally exclusive to the PlayStation 4 platform. In an era when competition between Microsoft and Sony largely hinges on who has the best/most exclusive IP, things like that really matter. Hopefully, if Iron Man VR takes off, we will see a bunch of other Marvel heroes ported over to virtual reality. The Avengers themselves are expected to make a big splash in the video game world over the coming years, with the much-anticipated project from Square Enix taking up a lot of the oxygen in the room. Really, we can’t think of a more perfect genre for VR than superhero action films. Implementation is everything and, naturally, a lot of Iron Man VR will rely upon how well executed the game is in its final form. 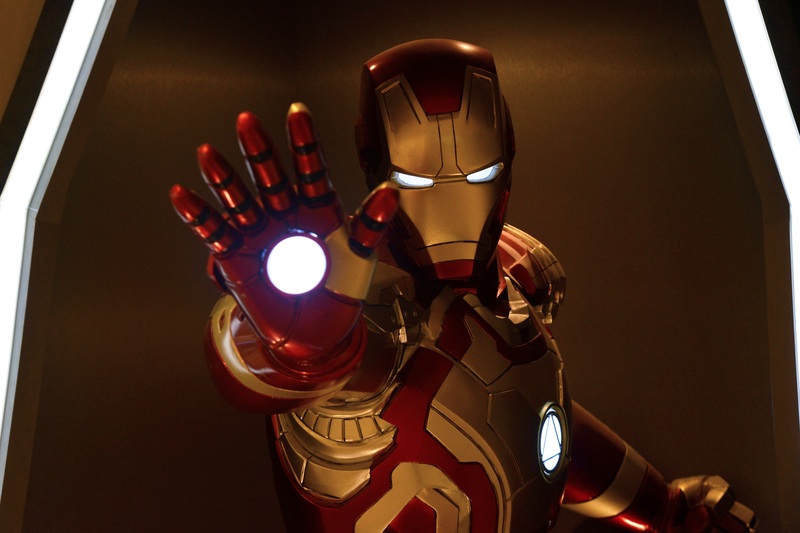 Still, count us in for a couple of tickets for the Iron Man VR hype train. We’re there, and we can’t wait to see what comes out. From no man’s sky to Iron man on VR is a pretty big deal. Thank you for sharing it with us.